Shopping for a new Buick Lacrosse? Equipped with the Essence trim level, the LaCrosse strikes a good balance between price and equipment. 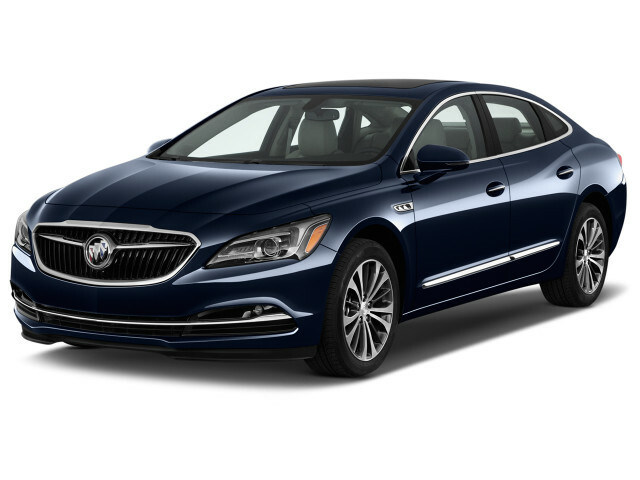 The 2019 Buick LaCrosse is the most traditional sedan left in the storied brand’s lineup. Roomy, quiet, and tame, the LaCrosse offers the traditional Buick experience but skips the barge-like experience. 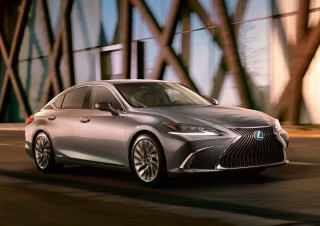 The brand’s largest sedan offers enough style, compelling options, and refinement to compete with luxury cars that cost more. The LaCrosse underwent a complete redesign for 2017 and then a major underhood upgrade for 2018, including a new hybrid powertrain that paired a 2.5-liter inline-4 with an electric motor. Unlike full hybrids, the LaCrosse's mild-hybrid powertrain provides a small boost to fuel economy, but doesn't drive the car on battery alone. Buick sells some LaCrosse sedans with all-wheel drive. It couples a 9-speed automatic to the available 3.6-liter V-6. Even through the redesign and updates last year, the fundamentals of Buick’s big sedan remain the same: a big four-door with room for everyone, as long as they don’t mind a surprisingly tight back seat. Buick has made the LaCrosse as a car that looks like traditional big car from the brand, but certainly doesn’t behave like one. 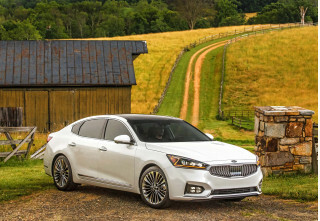 It’s agile for such a large sedan and has refinement to spare, plus Buick loads some trims of the LaCrosse with active safety technology and an updated infotainment system. The LaCrosse Avenir trim level is plush, but costly. We're not sure it's worth the big money Buick charges. 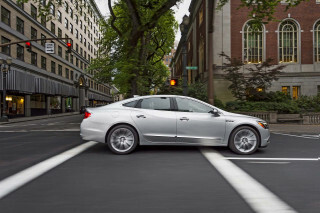 The Buick LaCrosse has the style and design befitting a flagship sedan. Buick’s redesign of the LaCrosse for 2017 did wonders to hide the sedan’s size and mild-mannered driving dynamics. A large grille, sweeping headlight design, and curvy hood soften the look up front. Around back, the Lacrosse’s tail-end is simple and clean with down-curving tail lights and not much else. Our only real complaint is an unfortunate reminder of Buick’s painful design past: the portholes. For no good reason, they’ve made an appearance on the LaCrosse's front quarter panels and detract from an otherwise attractive design. The interior of the LaCrosse is understated and clean, with an almost symmetrical dash and thoughtfully placed controls. Buick has centered the dash around a large infotainment touchscreen, though the integration with the rest of the interior isn’t done as well as some rivals. 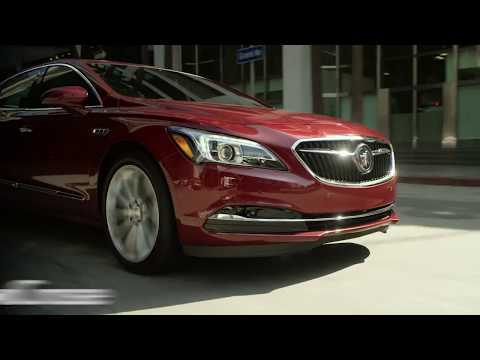 The 2019 Buick Lacrosse manages to be soft and comfortable while delivering a good ride and adept handling. The 2019 Buick LaCrosse imitates a performance sedan when pushed, but it’s happiest as a sedate cruiser. We haven’t driven the eAssist mild-hybrid LaCrosse yet, which is the standard configuration now. The system pairs an electric motor to a 2.5-liter inline-4 but differs from full hybrids in that it be driven on battery power alone. The gas and electric motors work together to provide better fuel economy and slightly more power. Paired to a 6-speed auto, the system is rated at a modest 194 hp and 187 pound-feet of torque. We'll update this space when we've spent some time behind the wheel of the base LaCrosse. 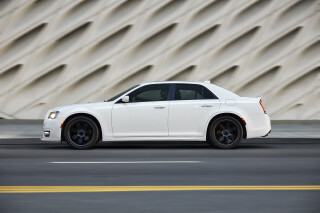 A 3.6-liter V-6 is optional on the LaCrosse and is required with all-wheel drive. The 310-hp V-6 engine comes paired to a 9-speed automatic, a combination that provides plenty of pull even loaded with passengers. The stiff, lightened chassis and quick steering help the LaCrosse feel nearly athletic and handle itself properly in the curves. Eighteen-inch wheels are standard, while 20-inchers paired with an adjustable suspension are optional. In our testing, we have found the ride and handling to be much more pleasant on the standard 18-inch wheels, which have more sidewall give. As we’ve come to expect from Buick, the sound deadening on the LaCrosse provides a hushed, near cocoon-like experience inside. The 2019 Buick LaCrosse lacks space in key areas but makes up with solid fit and finish and a decently sized trunk. With power-adjustable front seats, and an interior covered in nearly real synthetic leather, even the base model LaCrosse offers a luxury experience. Premium trims gain perforated leather hides and offer a massaging feature for the front seats, making the LaCrosse a long-haul champ. Rear-seat comfort falls victim to a sweeping roofline that cuts down on head and leg room considerably. Thankfully, there is plenty of shoulder room for three adults across. The car’s 15 cubic-foot trunk (14.3 cubic feet in the hybrid), while not the largest in its class, is well-shaped and benefits from a large opening. Buick has thoughtfully placed storage inside the cabin, making use of the space that’s there. A large storage bin at the base of the center console is a great example, offering enough room for a purse or tablet. The LaCrosse feels classy at any trim level, thanks to soft-touch materials throughout, but the higher-spec models with earth tone leathers are absolutely beautiful. Only a few hints inside remind passengers of the LaCrosse's reasonable entry-level price tag. Official crash data is impressive, but Buick charges more for active safety that others make standard. The 2019 Buick LaCrosse earned a relatively rare five-star overall rating in government crash testing. That's enough for two points above average, but we deduct one for Buick's stinginess when it comes to active safety tech. That's a shame since the LaCrosse appears to do well in crash tests. Federal testers gave it a five-star overall score, including five stars for each sub-test—a rare clean sweep. 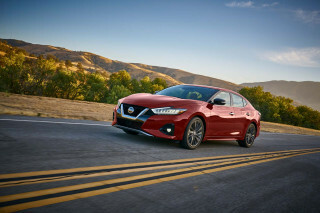 The IIHS was nearly as kind and gave the LaCrosse mostly top, "Good" crash-test scores and a "Superior" rating for its automatic emergency braking system. Headlights rated as "Poor" keep the Lacrosse from earning IIHS awards. Adaptive cruise and automatic emergency braking are limited to the costly LaCrosse Premium trim, while blind-spot monitors and rear cross-traffic alerts are restricted to Essence and Premium models. This adds up to a more than $10,000 bump over the base trim level to get safety tech that is offered in other brands’ vehicles as standard. The 2019 Buick LaCrosse is well equipped in any trim, but buyers should be prepared to pay the price for exclusive options at higher trim levels. The 2019 LaCrosse comes in four trims, ranging from a nicely equipped base trim to the opulent Premium. Buick doesn’t make its trim levels as simple as some buyers might expect, which means some homework may be necessary before visiting a Buick dealer. Base LaCrosse sedans, also known as 1SV, start around $31,000 including destination and come equipped with convincing synthetic leather upholstery, 18-inch alloy wheels, power front seats, eight-speaker audio, and an 8.0-inch touchscreen with Apple CarPlay and Android Auto. The base trim is only offered in black or white with no option of paying more for a different color. Stepping all the way up to Premium drives the price to just shy of $40,000 and adds all the goodies to the Lacrosse. At this level, the LaCrosse includes a heated steering wheel, front-seat lumbar adjustment with massaging, heads up display, forward collision alerts, active lane control, blind-spot monitors, rear cross traffic alerts, and cooled front seats. The range-topping LaCrosse Avenir trim piles on even more leather, but its price tag skyrockets to $50,000 and its value is dubious at that level. Our pick of the LaCrosse line is the Essence trim. Right in the middle of the range, the Lacrosse Essence adds safety features and interior goodies while keeping the price at a more reasonable level. However, the LaCrosse 1SV offers a considerable value if vibrant colors aren’t a key factor. The Buick LaCrosse is in line with competitors, but its hybrid version falls far short of other electrified full-size sedans. The V-6 is rated at 21/30/24 mpg. Adding all-wheel drive cuts those numbers by 1 mpg across the board. 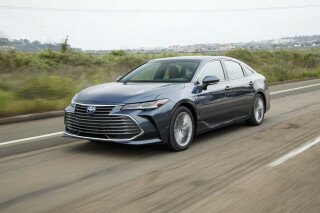 Competitors are close, although hybrid versions from Lexus and Toyota are far more frugal and are rated at more than 40 mpg combined.